Front row (left to right): 1. Glen Mooney, 2. John Foscalina, 3. unidentified, 4. Jerry Johnson, 5. Gary Bell, 6. Harold Sinclair, 7. Ed Cassidy, 8. Ross Harrower, 9. Gary Butterfield, 10. Marvin Luther, 11. Jim Street. Second row: 1. Sharon Santos, 2. Judy Mann, 3. June Dutra, 4. Karen Kent, 5. Joanne Moomau, 6. Diane Mederios, 7. Delores Banuelos, 8. unidentified, 9. unidentified, 10. Betty Davis, 11. unidentified, 12. Janice Rego, 13. Rosalie Calito. Third row: 1. Miss Gerber, 2. unidentified, 3. LeeAnn Ray, 4. Lawrence Patterson, 5. Jimmy Armstrong, 6. unidentified, 7. Cary Mussleman, 8. Dan Hansen, 9. Paul Thode, 10. Dave Weaver, 11. Dallas Smith, 12. Roy Lambaren, 13. Nancy Holbrook, 14. Nancy Mueller. Credits: Scanned and submitted by Jim Street. 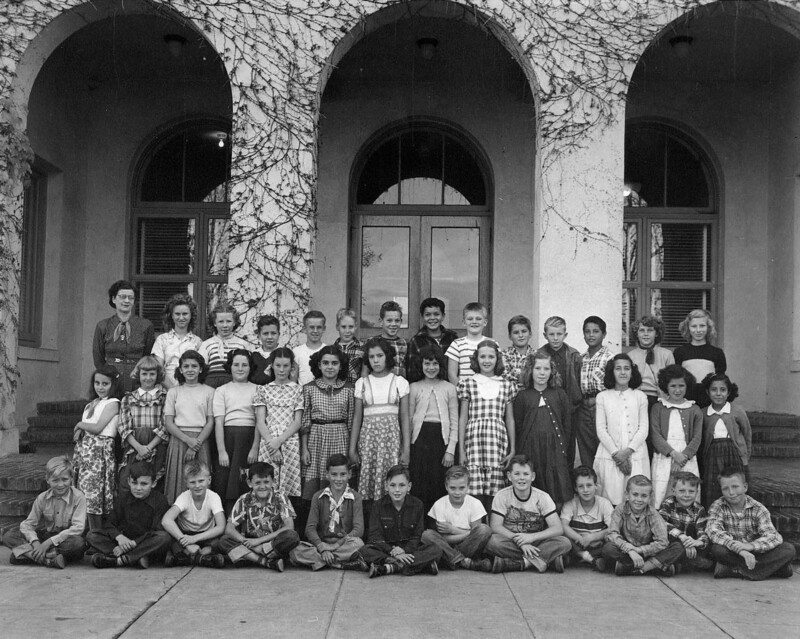 Thanks to Jim Street for identifying the kids in this picture.